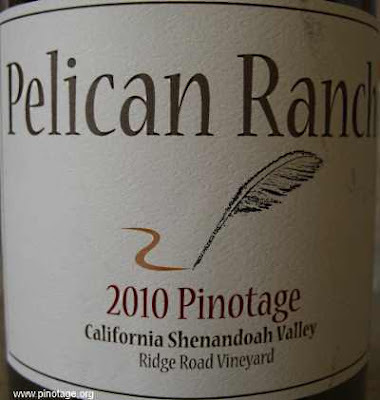 My Wine of the Month for August is this deliciously and plumply juicy single vineyard offering from Pelican Ranch, an artisan winery located near Santa Cruz in California. Owner/winemaker Phil Crews is a professor of chemistry at UCSC’s Department of Chemistry and Biochemistry, a noted expert in marine sponges and teacher of classes on Wines and Wine Chemistry. Hence the nicely informative back label. 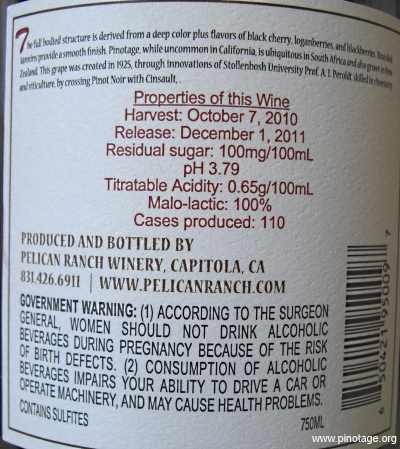 It looks to me that the grapes come from John Bree’s 5+ acre Pinotage vineyard at Sutter Ridge in Amador County, planted more than twenty years ago and thus some of the oldest in California. Great tip, thanks for sharing this wine with us! Cheers!